Welcome to our weekly Five Minute Friday blog link-up! I’m so thrilled that you’re here. If you’re new, a very special welcome to you! You can learn more about the link-up and how it works right over here. 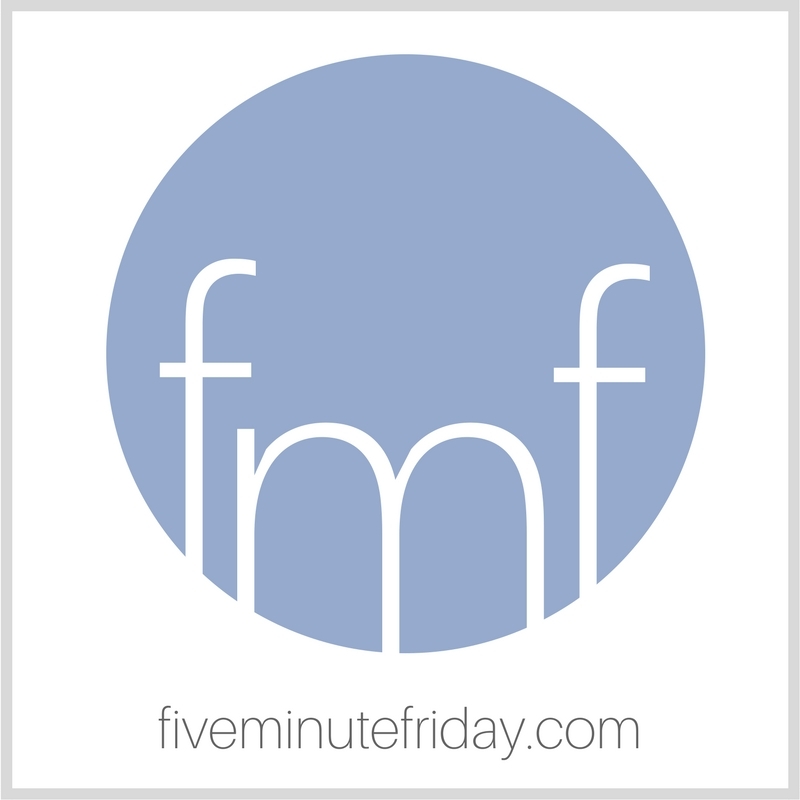 Join @5minutefriday as we write for five minutes on the prompt, ONLY. This past weekend we had the delightful privilege of having dear South African friends staying with us for a few days. The husband preached at our wedding in Cape Town over 13 years ago, and the wife (pictured below) sang during the ceremony. We haven’t seen them for over five years. It was such a blessing to be together again, swapping stories, laughing until our stomachs hurt, crying and praying together — and singing. I begged them to sing, and oh, they didn’t disappoint. I’ve had South African songs playing on repeat in my mind for the past several days, and it has been glorious. They even had a spontaneous opportunity to sing in front of our church here in Michigan. Our pastor called them to the front to show the congregation how different cultures worship differently. Yes, we serve and praise one God as one body with one voice, and yes, there is only one way to the Father — that is, through Jesus Christ — but within these perimeters, our creative Creator gives us so much freedom of expression. We can be united in the midst of our diversity. And that, my friends, is a beautiful thing. What comes to mind when you think of the word, ONLY? Share with us in five minutes or less! Join the link-up below! Link your post back to this one, then visit your link-up neighbor and leave an encouraging comment! So beautiful, Kate. I loved listening to your friends worship God. It’s so joy-filled! I’m thankful that there isn’t only one way to worship God. That, as you shared, we can worship God in many ways, according to our culture and the hearts God’s placed within each of us. I hope your Advent season and your Christmas are super special! Thank-you for sharing your friends and the beautiful worship music–so joyful! K8, thank you so much for sharing this reunion! So much so!!! Thanks Kate! Beautiful! I miss the beautiful, diverse music we enjoyed in Montana each time I go to church here in AZ :). I am so glad that God created us to be creative and worship him in a plethora of ways! Beautiful! Yes, only one way to the Father, one faith, one body!